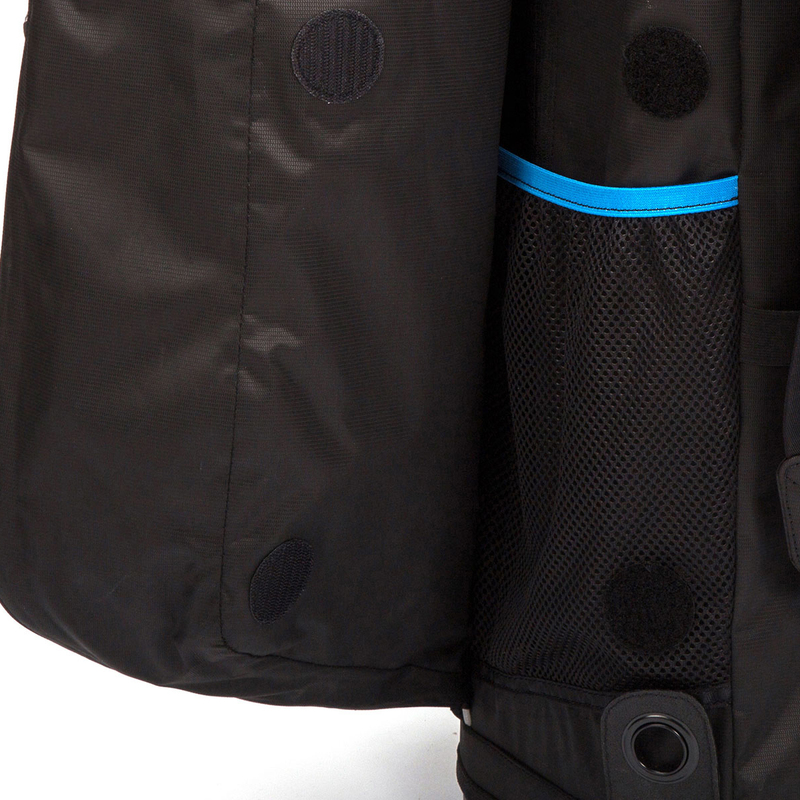 Combining all the great features of the Pioneer line with the practicality of being fully waterproof. 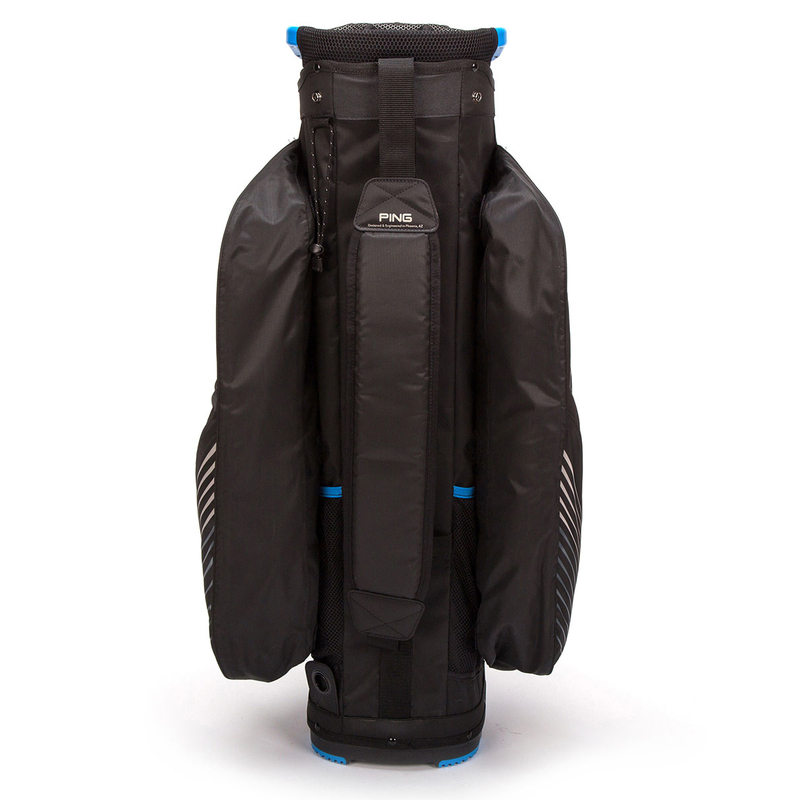 Designed for the European market, where inclement weather is very common, the Pioneer Monsoon has a seam sealed, fully waterproof construction so you can play the game no matter the conditions. 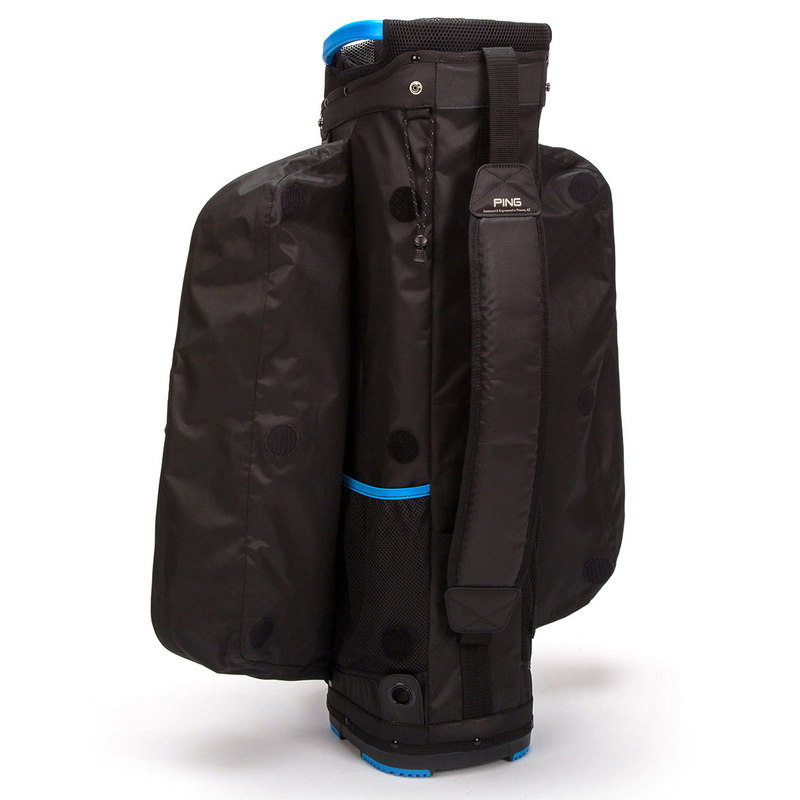 Weighing in at less than 3kg, it is both lightweight and very spacious with 10 total pockets, 8 of which having seam sealed zips to keep water out. 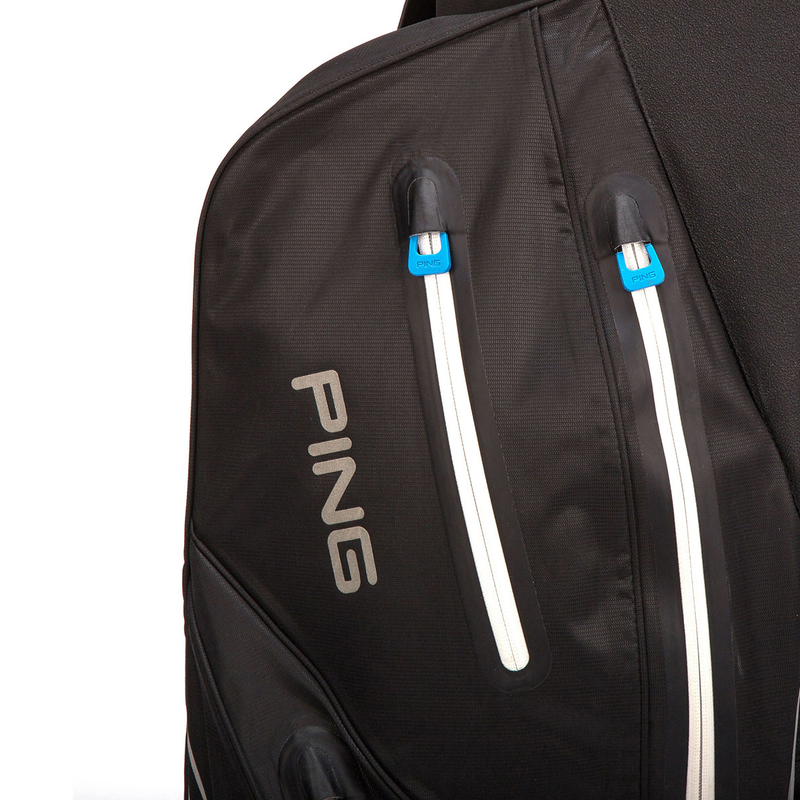 The top has a 15-way divider system with a separate putter well, easily capable of accommodating oversized grips. 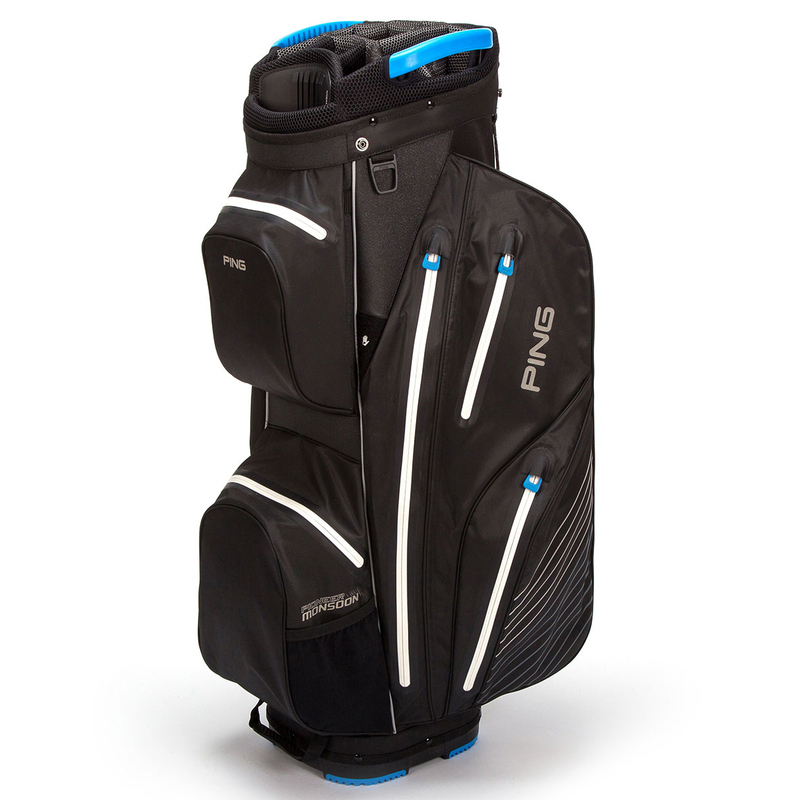 2 ergonomically designed grab handles at the top correspond with another on the bottom to make transportation easy, while added extras such as textured side panels to aid bag security, cart strap channel and cart friendly cross design bottom make this bag from Ping a winner in all categories. Perfect for the serious player and aspiring alike.